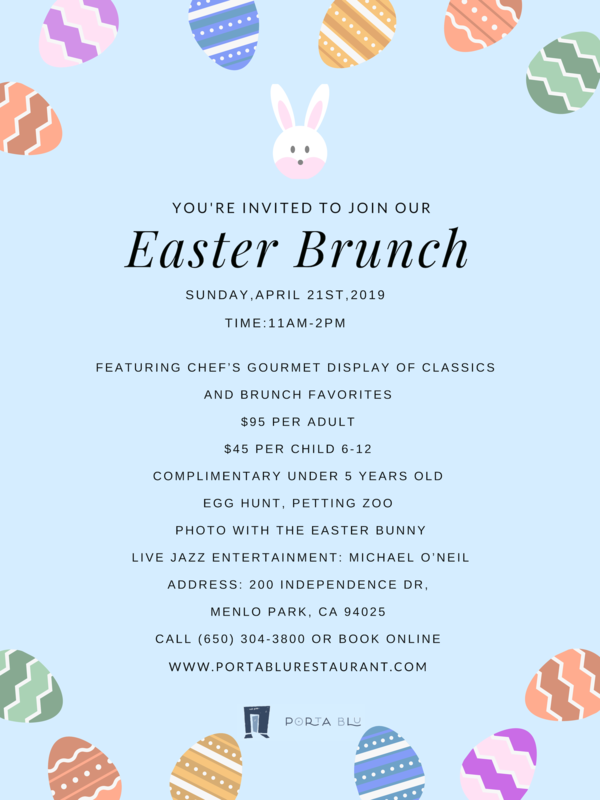 Please join us at Porta Blu for Easter Brunch on Sunday, April 21st from 11am to 2pm. Brunch features the Chef's Gourmet Display of Classics and Brunch Favorites. The whole family can enjoy an Easter Egg Hunt, Petting Zoo and photos with the Easter Bunny. Additionally, there will be Live Jazz Entertainment from local musician, Michael O'Neil.